Regardless of whether you are purchasing for or installing equipment in your commercial kitchen, contacting a restaurant service company in San Rafael can equip you with trained, knowledgeable, and certified technicians. Prompt response, product expertise, and fully stocked service trucks ensure precise coverage for every need from emergency service to parts replacement to installation to preventative maintenance. Tailoring each job to meet the needs of the client creates a functional, profitable, and responsive business. Furthermore, proper installation by professionals is required for most warranties to remain in effect. 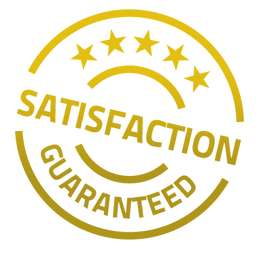 For that reason, make sure that you only purchase equipment from and allow servicing by companies with a lengthy history of customer satisfaction and positive results. In addition, clean all equipment regularly and replace broken or worn out parts promptly. Casco provides restaurant service in San Rafael and has been in business since 1969. For your convenience, we offer full warranty service on new equipment and all of our services that we perform. In addition, our technicians are available 24/7 for emergency services. Our mission is to get your business back running smoothly as quickly as possible when unexpected failures happen. Our preventive maintenance packages allow you to schedule routine service to reduce the frequency of breakdowns. If you are seeking a dependable and reputable company to handle all of your restaurant needs, contact us at (707) 544-5200. Remember to click on the link to like us on Facebook.